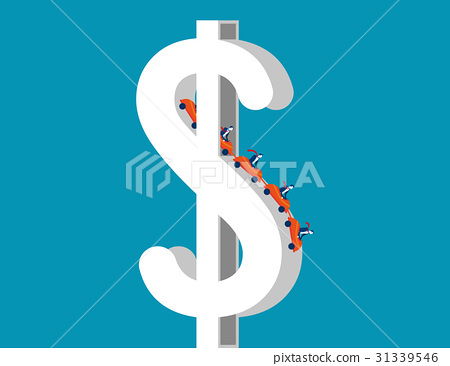 Roller coaster on dollar sign depicting up. 图库插图: Roller coaster on dollar sign depicting up. Roller coaster on dollar sign depicting up and downs of business. Concept business illustration. Vector metaphor business.